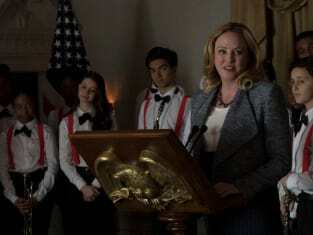 Designated Survivor Photos from "Misalliance"
On Designated Survivor Season 1 Episode 18, President Kirkman asked Speaker Hookstraten if she would be willing to become the next Vice President of the United States. Without hesitation, Hookstraten said yes, but then a scandal broke causing Kirkman to wait to make the announcement. Kirkman didn't think the Turkish controversy was a big deal, but others in the Republican party did and launched an Ethics Committee investigation. Kirkman was still undeterred. Now there is another issue at hand. 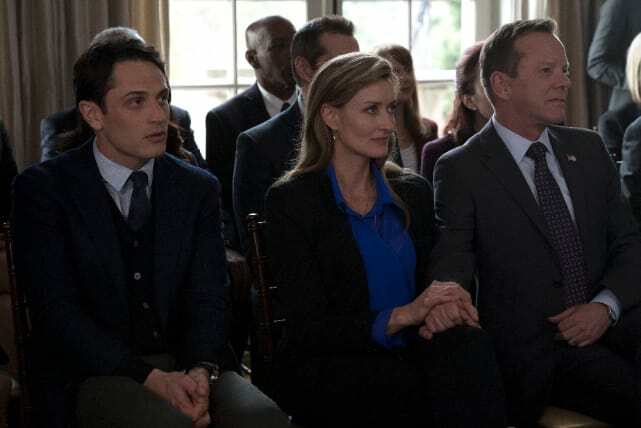 On Designated Survivor Season 1 Episode 19, someone challenges Hookstraten's speakership and it's the biggest battle of her political life. Take a look at the pictures and see what you think. Is Tom nominating Hookstraten despite the controversy? What will the Ethics Committee find? Check it out and let us know your thoughts. 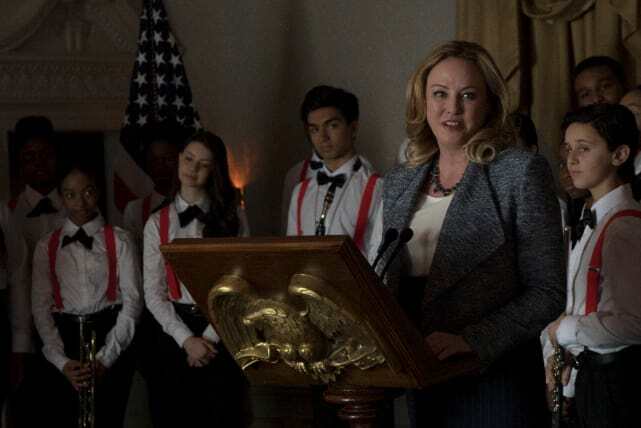 "Misalliance" airs on Wednesday, May 3 at 10/9c on ABC! 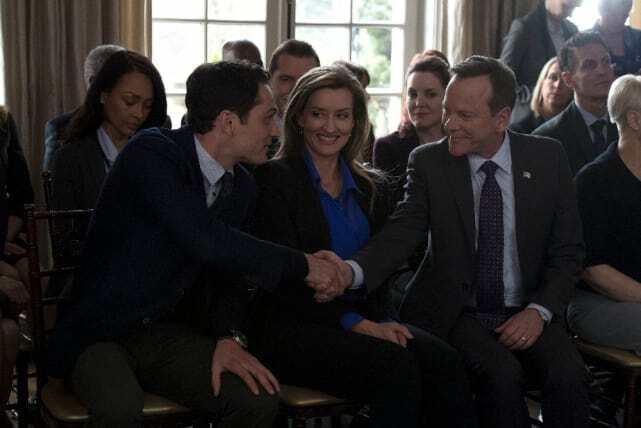 If you need to catch up, you can watch Designated Survivor online right here via TV Fanatic. Speaker Hookstraten is all smiles as she gives a speech at some conference. Behind the scenes, though, trouble is brewing for Kirkman's new best friend. Hookstraten is an eloquent speaker and has everyone's rapt attention. Has Kirkman nominated her for Vice President despite the ongoing ethics investigation? 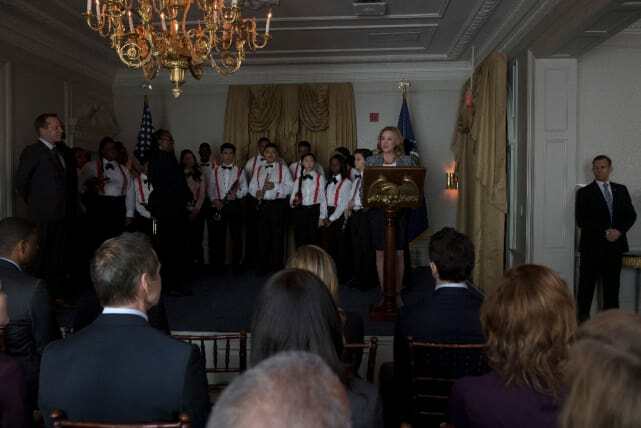 It's nice to see Alex back at the White House. Her and Tom make a beautiful first couple. Have the kids come back to Washington too? Tom and Alex have no problems showing a little bit of PDA. It's nice to know there's so much love and respect between Alex and Tom. Tom and Alex are all smiles. 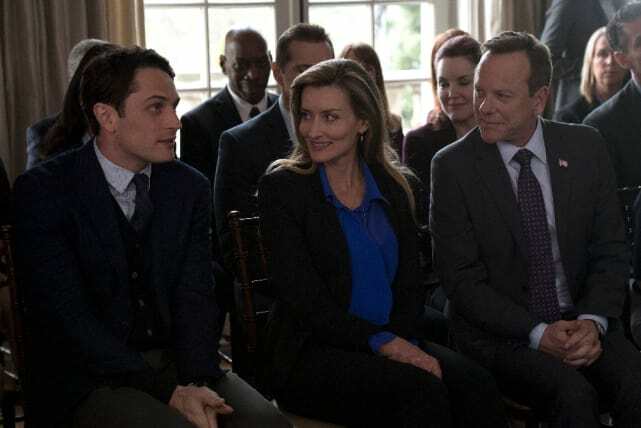 We have no idea who the guy is sitting next to them, but they look like proud parents. He seems a little shy though. It's not just an honor to be sitting next to the President of the United States, but when you can shake his hand, it makes it much sweeter. The unknown young man is taking full advantage of his seating arrangement. 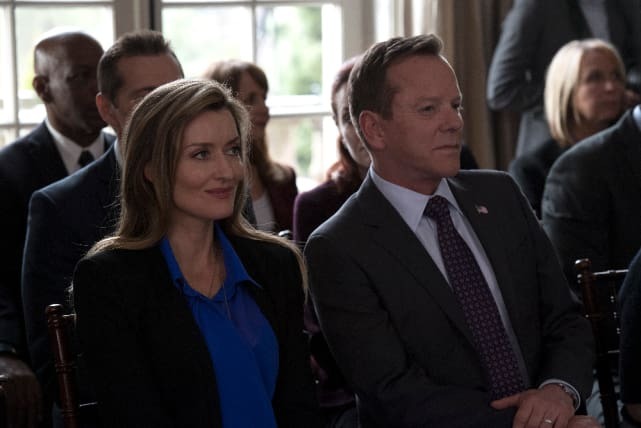 Designated Survivor Season 1 Episode 19: "Misalliance"
Designated Survivor Photo Preview: Hookstraten Battles! Kimble, I said I would stand behind you and I meant it. Permalink: Kimble, I said I would stand behind you and I meant it. I used to want my kids to have extraordinary lives but now I just want some semblance of ordinary.